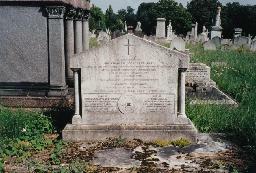 Daughter of Dr. Edward Rigby from Norwich, who was a writer on medical and agricultural subjects. In 1836 she wrote an article on Goethe for the Foreign Quarterly Review and in 1841 she published "A Residence On The Shores Of The Baltic". From 1842 onwards she wrote for the Quarterly Review, denouncing "Jane Eyre" as 'vulgar'. She also authored novels, books on art and biographies and she translated Gustav Waagen's "Treasures of Art in Great Britain". In 1849 she married the painter Charles Eastlake. Together they were the centre of what was called the 'Eastlake Circle', a social group of artists and intellectuals. In old age she was still highly critical, describing the Rossetti Exhibition in London in 1883 as 'horrors, without a single merit' (Rossetti had died in 1882). Many of her drawings are now in posession of the Tate Gallery, London. Works: "Lady Travellers" (1845); "Livonian Tales" (1846); "The Jewess" (1848).